The elegant Copperplate never goes out of fashion! It's always stunning. 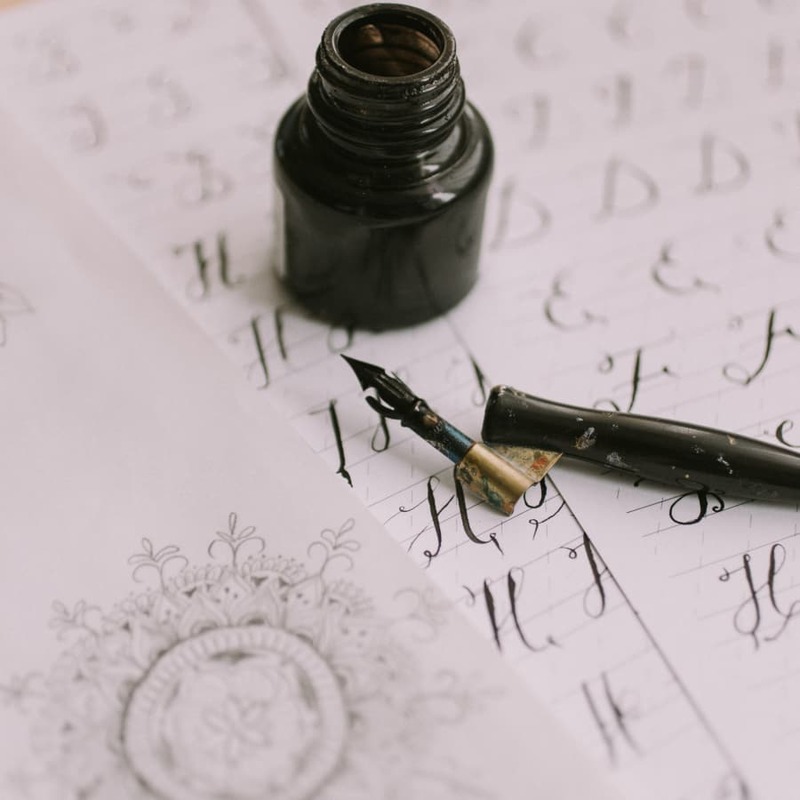 Join this class for Copperplate fine letters that can guide you to create your distinctive lettering, full of character and charm that you can use in your everyday artistic work or your occasional writing! 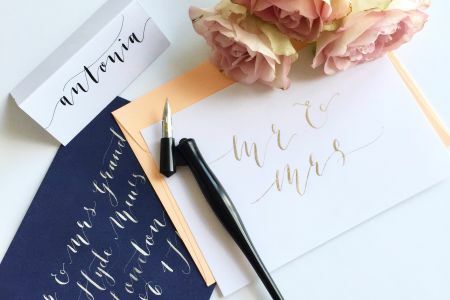 You will learn Copperplate basic principles and rules that make it so beautiful and delicate, you will find out techniques to create each letter – lowercase or capitals – with the help of guide sheets and tuition from Amalia, so don’t worry if you haven’t tried something like this before! You are not even supposed to have a fine handwriting! We’ll start with introducing you to the supplies we are going to use during the Copperplate Calligraphy Workshop. Move on to calligraphy exercises on basic strokes and letter forms. Practice the alphabet to get used to the letters you are going to use for your special creative projects and work. 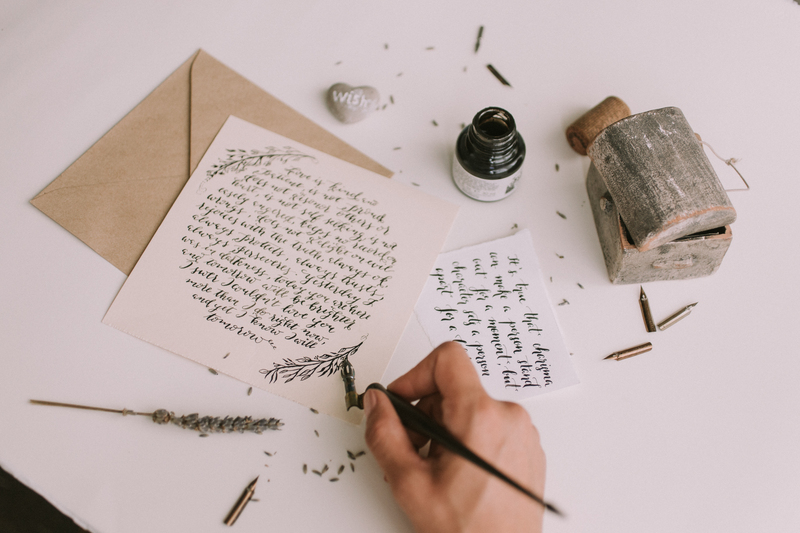 We’ll have plenty of time for 1 to 1 tuition and instruction, so at the end of this workshop you are going to be able to write words using your calligraphy tools. Your calligraphy kit so you can practice this new skill and apply it in your daily creative work! Your starter kit will include a pen holder, a nib, a black ink pot and exercise sheets. Stour Space - right near the Olympic Stadium - exhibits and promotes the work of local emergent artists and enterprises, and encourages new innovative work, offering exhibition, event, performance and studio space for the development of creative activities. Artistic vibe, good coffee, natural light. This is an absolute beginners workshop so you need no preparation for it. We will provide all materials. It’s going to be a great way of relaxing, using just your imagination and hands. We’ll get creative, so please come prepared to have fun and experience new stuff! My main purpose when I started this class was to detach from all the daily stress and just do something for my own pleasure in a nice ambiance, with people who enjoyed being there as much as I did. I absolutely loved the class!!!! It was highly informative. Amalia is patient, helpful, knowledgeable and organized. It was a real pleasure having her as a teacher and she made this experience truly enjoyable. Now I just got the taste of it and I am practicing as much as my schedule allows it. Amalia is a wonderfull persone, creative and super women. Very interesint everything, I d love all the stuff that we did there . Superrrr wowwwww! I've rediscovered my passion for calligraphy. I really enjoyed my Monday evening calligraphy course learning Copperplate Essentials. Amalia is very friendly and patient. She is taking the time to show you over and over again until you master all the letters. All the group of participants was amazing and I can't wait our next meeting! Thank you, Amalia! Excellent class! Informative and fun. It was my first calligraphy class that I attended so it helped me learn a new skill. Really fab time I had! Not only Amalia was a professional guide, but she also made such a lovely atmosphere! Such a nice workshop! A lot of information, great tools and very friendly tutor. The venue was very good, with a great variety of drinks and snakes to order. I will definitely join another Amalia Calligraphy class. An amazing course. I can't recommend it enough. Thank you Amalia. The copperplate essentials beginners class was a very good experience. I found it most informative about supplies needed and how to get started . Amalia is a very good teacher watched over us individually giving us advice and praise. I have found caligraphy to be very therapeutic and have continued to practice what I learned in my class. I recommended this to anyone with an interest to learn. 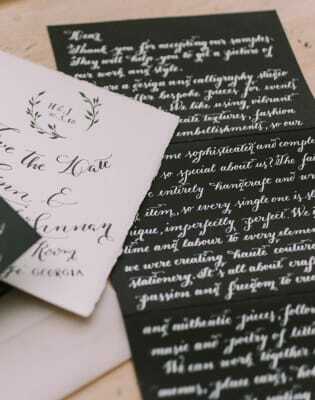 Amalia is a calligrapher, illustrator and stationery designer that founded Amalia Calligraphy. 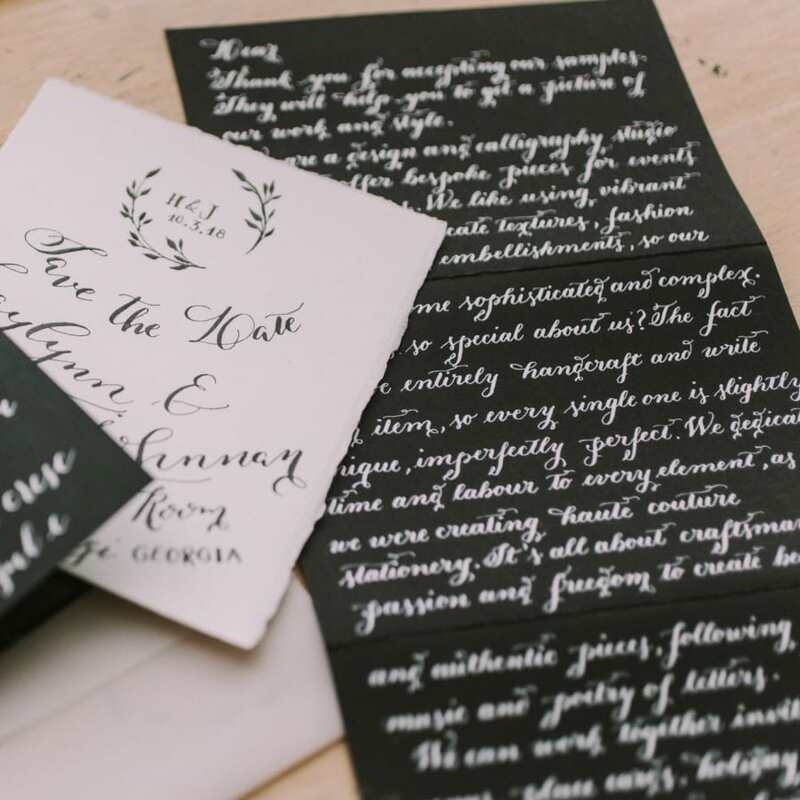 She started as a self-taught calligrapher 5 years ago. Ever since she works wedding and events stationery and loves to add manual details to it to achieve a handcrafted and exquisite look. 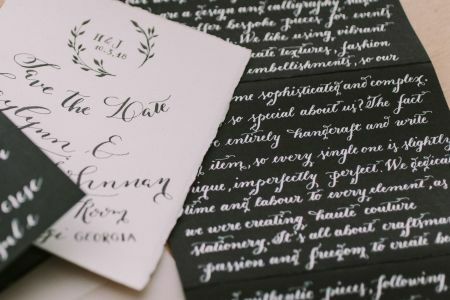 The digital flow brought her to creating printable designs for her customers to choose, for a rather quick and easy way of getting beautiful stationery for events. 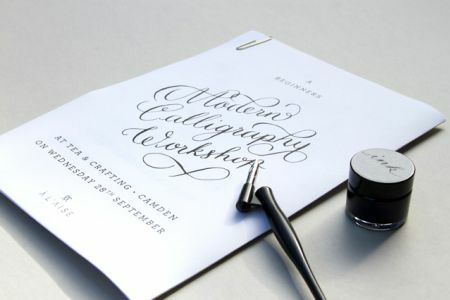 She now shares calligraphy tips and tricks in workshops all across Europe. She considers herself truly lucky to spend her days creating, mixing and matching styles, colors and textures. She loves learning new stuff every day that can embellish her work - silk flowers making and a lot of different artistic techniques. So, if you are into creating some beautiful invitations or just want to learn a new artistic skill, Amalia is ready to share with you in her calligraphy classes many of the things she learned during these years!